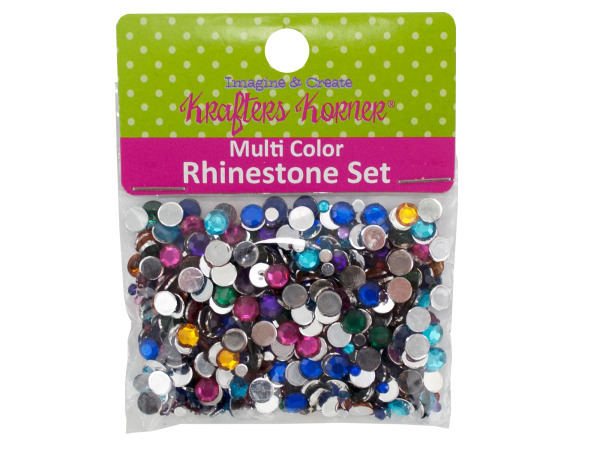 Great for craft and sewing projects, this assortment of 600 plastic rhinestones features colorful faceted jewels with flat silver backs in 3 diameters: 1/8", 3/16", and 1/4". Colors come in blue, turquoise, green, hot pink, purple, clear, red, orange and magenta. Comes packaged in a poly bag with a header card.